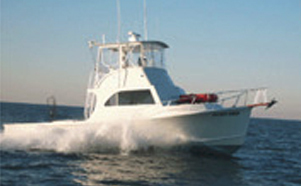 OPEN BOAT DAILY, CHARTERS AVAILABLE. BOOKING ALL SPRING 2019 FALL JUMBO STRIPED BASS, SEABASS & BLACKFISH CHARTERS NOW! U.S.C.G. CERTIFIED 1 - 15 PASSENGERS. WE HAVE OUR FILET AT SEA PERMIT. NO WAITING AROUND. WE PROVIDE DISCOUNTED HOTEL RATES MINUTES FROM OUR DOCKS. SHORT NOTICE LIST SUBSCRIBERS WILL BE NOTIFIED OF SPECIAL OFFSHORE TRIPS ON GOOD WEATHER WINDOWS. HEAVIEST FLUKE OF THE 2018 SEASON WILL WIN A CUSTOM WORK OF ART ROD. JUST ANOTHER WAY WE THANK YOU FOR SAILING WITH US. Aboard the 40′ DOWN DEEP FLEET amenities include heated cabins, microwaves, refrigerators, 30" HDTV, Sirius radio, bunks, clean restrooms & cabins and above all, experienced crews. Tired of getting bounced around? Come fish in comfort, like a gentleman.